President Obama and Gov. Bobby Jindal hold a briefing about disaster relief in LaPlace, La., an area flooded by Hurricane Isaac. 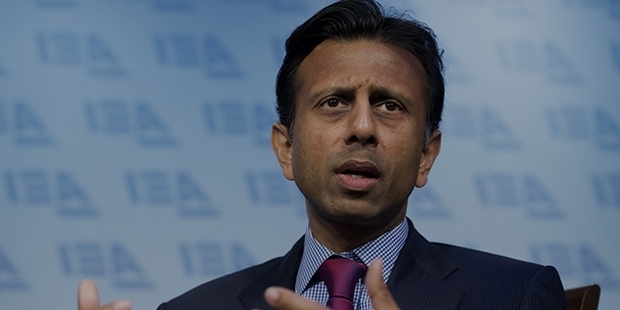 Bobby Jindal is the Governor of Louisiana and the contender for 2016 United States president. He is the first Indian American governor. Jindal was called as a genius who has a lot of knowledge of medicine by Murphy J. Foster, Jr., the former governor of Louisiana. His journey began as the Secretary of the Louisiana Department of Health and Hospitals in 1996 and with a span of twenty years, he is running for the highest job in the country- The president of United States of America. Jindal’s family immigrated to the United States in 1971 and settled in Louisiana. 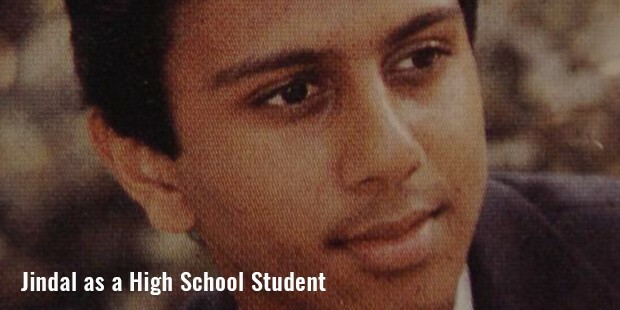 Jindal attended Baton Rouge Magnet High School, graduated in 1988. 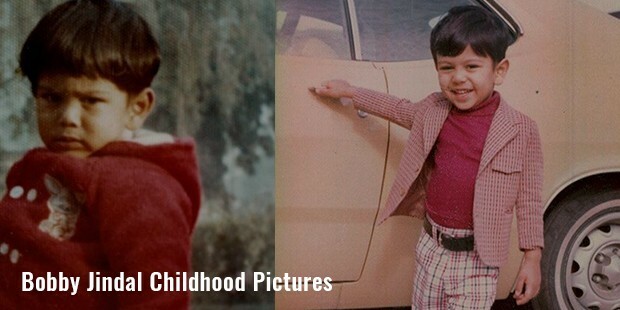 He then attended Brown University in 1991 and graduated with honors in two majors, biology and public policy. Jindal applied to Harvard Medical School and Yale Law School and was accepted into both the Universities. But he studied at New College, Oxford, as a Rhodes Scholar. He received an M.Litt. degree in political science with an emphasis in health policy from the University of Oxford in 1994, where the subject of his thesis was "A needs-based approach to health care". 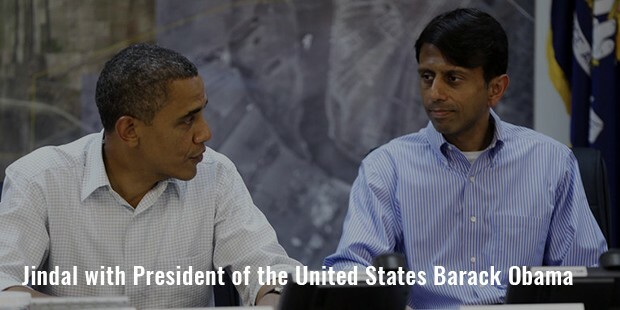 After oxford, Jindal joined consulting firm McKinsey & Company. He then interned with office of Jim McCrery of Louisiana. He was assigned to work on the healthcare policy. 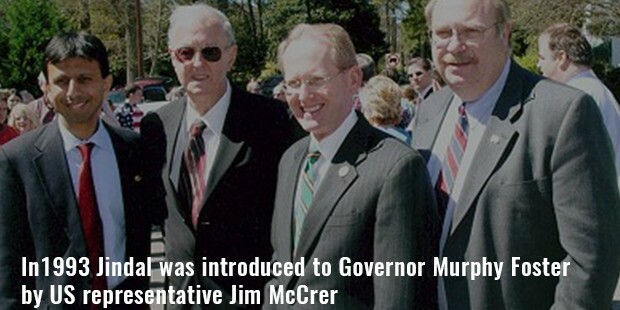 In 1993, Jindal was introduced to Governor Murphy Foster by US representative Jim McCrery. 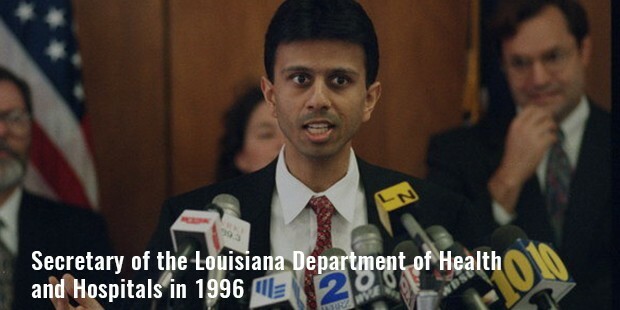 In 1994, Jindal was appointed as Secretary of the Louisiana Department of Health and Hospitals by the Governor. In 1998, Jindal was appointed as executive director of the National Bipartisan Commission on the Future of Medicare. In 2001, he was nominated to be Assistant Secretary of Health and Human Services for Planning and Evaluation and was unanimously confirmed by a vote of the United States Senate. He ran for Governor of Louisiana in 2003 but lost the election. He was elected for United States House of Representatives in Louisiana, 2004 and won the re-election in 2006.Jindal was elected as governor of Louisiana in 2008 and was also re-elected in 2011 for his second term. At the age of 24 Jindal was appointed as Secretary of the Louisiana Department of Health and Hospitals, an agency that represented about 40 percent of the state budget and employed over 12,000 people. Jindal became the youngest-ever president of the University of Louisiana System in 1999. He was only 28 years. Jindal is the first Indian American running for US President. Jindal began to show interest in Christianity during his school days, which grew stronger and in 1998 he baptized in Providence. In 1997, Jindal married Supriya Jolly. She started The Supriya Jindal Foundation for Louisiana's Children, a non-profit organization aimed at improving math and science education in grade schools. 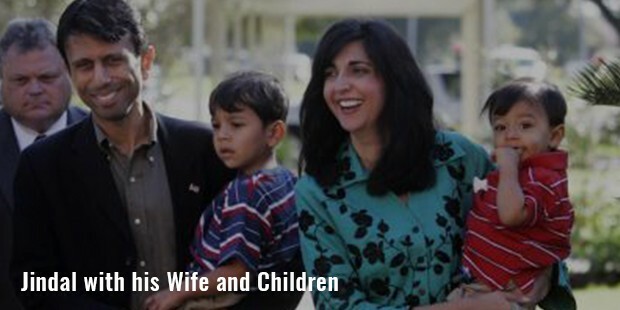 Jindal has three children Selia Elizabeth, Shaan Robert, and Slade Ryan.